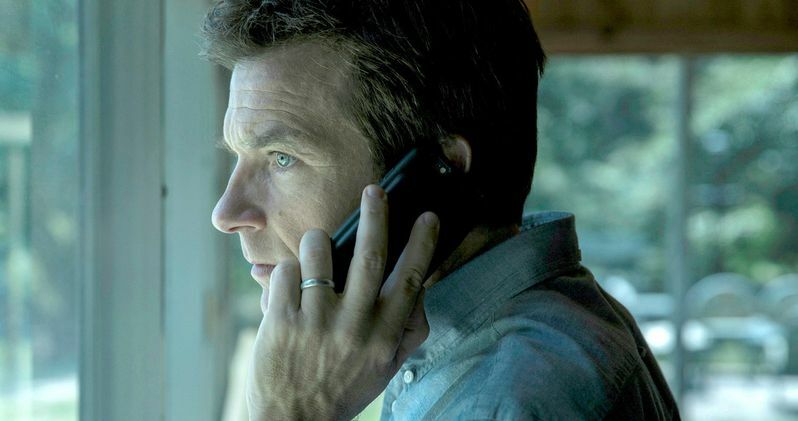 With the 4th of July holiday coming up tomorrow, the Netflix streaming service has debuted a dark and disturbing sneak peek at their upcoming series Ozark, starring Jason Bateman and Laura Linney. This drama series may very well be your newest obsession, debuting July 21, 2017, only on Netflix. While we don't get to see a whole lot, this footage starts with a wholesome family celebration, set to an orchestral version of the iconic song "America the Beautiful," although this footage quickly takes a twisted turn. The series centers on Marty Byrde (Jason Bateman), a Chicago financial advisor, who has been quietly laundering money for a drug kingpin, and must quickly uproot his family and move the operation to The Ozarks, after his partner is caught cheating the business. There, he bumps heads with both a local drug dealer whose business he inadvertently interrupts, and a clan of ruffians, led by their 19-year-old niece, who want his money, all the while avoiding the eye of a tenacious FBI agent. He must complete his laundering, to save the life of his family, as they struggle to find their own path in this seemingly foreign way of life. This trailer from Netflix YouTube goes from playful family time in the back yard, with brief shots of Jason Bateman and Laura Linney as Marty and Wendy Byrde and their kids, before shifting to a shot where Marty Byrde is walking up to an office building when a man plummets to his death before him. Unfortunately, we don't get much else from the trailer, aside from some more random shots of this family, including one where Jason Bateman is seen breaking down and crying in the woods. The Netflix original seriesOzark stars Jason Bateman, Laura Linney, Sofia Hublitz, Skylar Gaertner, Julia Garner, Jordana Spiro, Jason Butler Harner, Esai Morales, Peter Mullan and Lisa Emery. Directed by Jason Bateman, Daniel Sackheim, Ellen Kuras and Andrew Bernstein. Produced by Patrick Markey. Executive produced by Jason Bateman, Chris Mundy, Bill Dubuque and Mark Williams. A production of Media Rights Capital and Aggregate Films. The series was created by Bill Dubuque and Mark Williams, with the former writing and the latter directing the upcoming film A Family Man, hitting theaters July 28 and starring Gerard Butler, Alison Brie and Willem Dafoe. Mark Williams also served as a producer on last year's The Accountant, which was written by Bill Dubuque and starred Ben Affleck and Anna Kendrick. Bill Dubuque also wrote The Judge and he has been tapped to write the upcoming Nightwing for Warner Bros. Take a look at the new Ozark trailer below.